One of the joys of reviewing Californian sparkling wine is that I very rarely taste them and so have zero expectations. 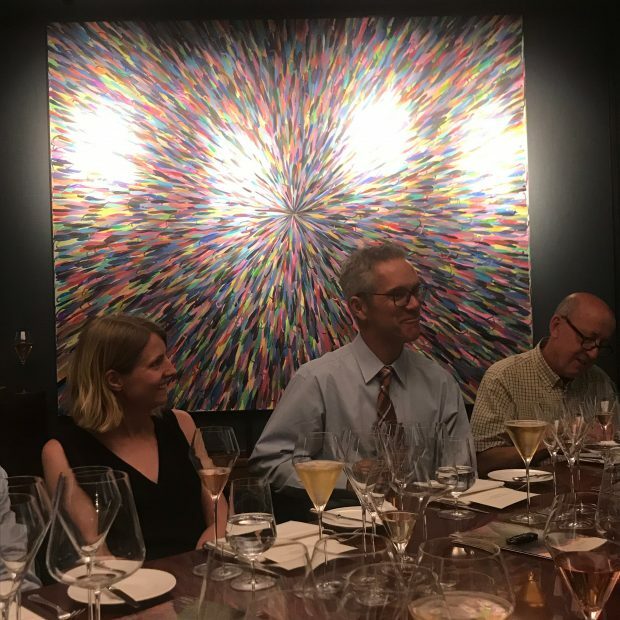 Only small quantities of the top Californian sparkling wines are sent to London and can be found at select restaurants such as The Vineyard, which recently hosted a dinner at 67 Pall Mall with vintner Hugh Davies of Schramsberg Vineyards, Napa Valley. Schramsberg Vineyards is a part of the history of Californian sparkling wine. Robert Louis Stevenson first mentioned Schramsberg in his 1883 novel, the Silverado Squatters. In fact, he visited Jacob Schram at the Schramsberg winery in Calistoga on his honeymoon. A strange kind of honeymoon; to get there, he had to spend his time hacking through the thick undergrowth on the lower slopes of Diamond Mountain. About this time, in a moment of inspiration, he penned the romantic line, that “wine is bottled poetry”. On the plane over to London this time, vintner Hugh Davies said, he thought about the Schramsberg Vineyards featured on the wine list at the exclusive London’s Carlton Club in the 1880s. This was long before his family took over the winery in 1965. It would be a full eight years later, in the 1970s, before French Champagne houses came to California to prospect for vineyard gold. Perhaps, they were there after the sensation of President Nixon’s 1972 “Toast to Peace” on his visit to China that featured the Schramsberg Vineyards Blanc de Blancs. After this visit, the wine has been featured at every president’s inauguration since then, even President Trump, despite Trump being teetotal and not drinking it. Sad. He missed out on some delicious sparkles. What makes great sparkling wine for me, is the brightness of acidity. The acidity of Californian sparkling is a bit of a paradox. How do they get this right in such a warm climate? When a grape is picked at 10% potential in Champagne, it is ready to go; when it is picked at 10% in California it is physiologically unripe (the seeds are bitter). It is a difficult challenge to get this right as it can make or break a wine and it seems to be overcome here by blending and choosing cooler areas. The winery may be based in Calistoga – the top part of the Napa Valley – but most of the fruit is sourced from cooler regions such as Carneros and Anderson Valley, areas that were not explored in the 1960s. 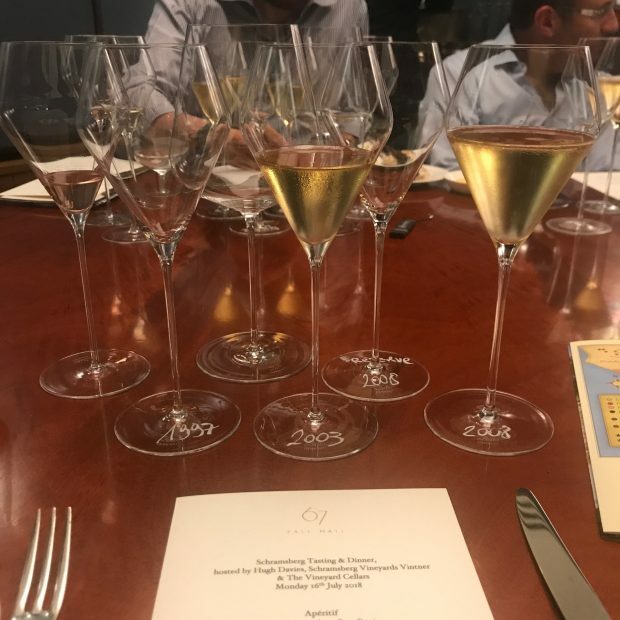 Before I arrived, I expected sparkling wines from the sunny uplands of the Napa Valley – compared to the grey skies of Champagne – as a sparkling version of a big Napa Valley Chardonnay, rich and very fruit-driven. The ripe fruit does not disappoint and is beautifully balanced by the acidity: this is a richer style of sparkling wine that speaks of California. We also had older vintages to see how they develop in the cellar, and they become complex and elegant over time. 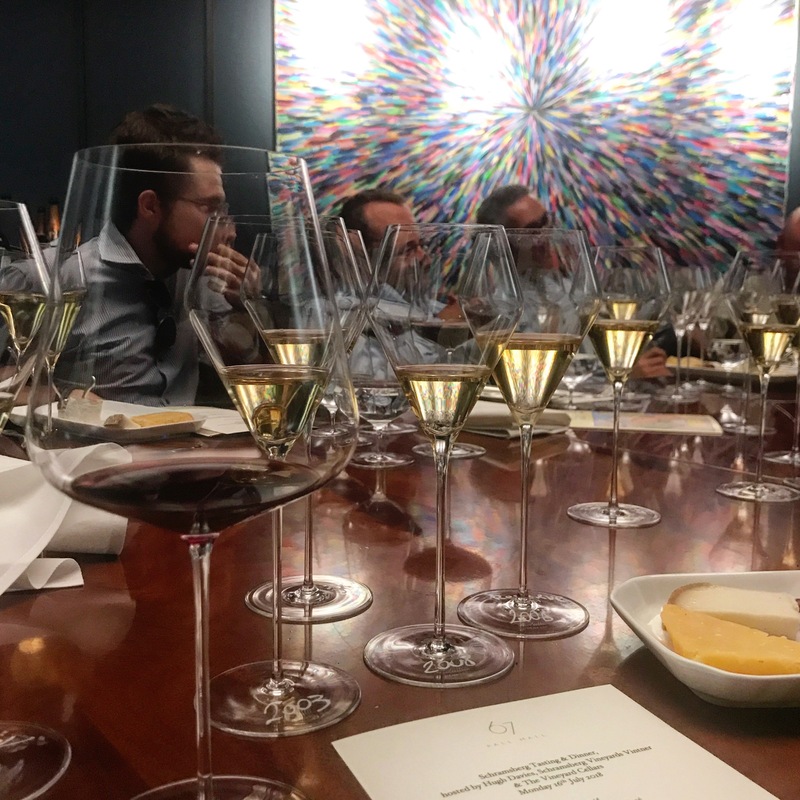 NB The last time I went to a wine lunch with The Vineyard, it was also for an American tasting but ended up being a blind tasting of the Trump Winery. Less blind tasting, more existential blinder. Read here.